1. 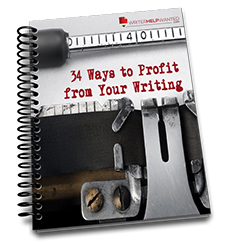 Ready to be a Pro Writer? We just finished talking to Monique Johnson about Facebook Live and we’ve got some takeaways and the full recording coming on that, but here are 11 ideas to get you started. • Take them Behind the Scenes – One of the most creative and best ways to use Facebook Live is to take your followers behind the scenes to a “day in the life” of your business and you. People whoa like to know about you like to know everything they can about you. Take them behind the curtain to see how you get ready for a live speaking event, or how you conduct your process to create your products or services. • Be Transparent – You’ve heard it before, that people like you because you are “real”. But what does that mean? Real means that you’re transparent and you’re not putting on airs to be someone you’re not. The best way for anyone to witness this fact is via video where you are just yourself, mistakes and all. • Do a Live Q & A – This goes back to your followers wanting to know everything they can about you, your products and services. A great way to do this is a live Q & A. Your audience can ask questions via the chat function of Facebook Live and you can answer them via the video right then and there. Hint: It might help to have an assistant reading and telling you the questions because it will move fast. • Teach Your Audience Something They Need to Know – A great way to use Facebook Live is to teach them something they need to know. You can take one question, and turn it into a live event that teaches them something important. Remember, while you have 90 minutes, you don’t need to use all 90 minutes. • Share Your Opinion on Your Niche – You can also use a Facebook Live event as an impromptu way to discuss an event, occurrence, or issue going on within your niche right now. It can be used for conducting a rant, or giving people confidence. • Conduct Interviews – A good use of Facebook Live is to interview people live for your audience. This works great if you’re at a live event or a meet up and want to introduce those who couldn’t make it to some insiders within your niche. • Stream a Live Event – A good use of Facebook Live is just sharing real life and live events with your audience. If you’re going to an event in person, showing your audience that event live is a great way to get their attention. • Share Client Testimonials – Now that Facebook allows people to answer with video, you can even share client testimonials via the live feature. Just do a live video asking for the testimonials in response. • Share Success – Did you create some amazing success today? If so, you can go straight to your Facebook Live and share it right away. Want to share an amazing accomplishment off the cuff? Facebook Live is a great way to do it. • Ask Your Audience Questions – A great way to use Facebook Live is to get on there and ask your audience a question to ponder each day. They can answer in text but some people are being given the opportunity to answer back with video as well. • Repurpose all Videos – Any time you have videos that you’ve created using Facebook Live you have an opportunity to repurpose them for use elsewhere. Facebook records the videos automatically. Now you can edit them and use them in other products. Now it’s your turn. Get out there and start making those videos and hey, let us know when you publish one. We’d love to see it. We’ll be in touch again soon with some even more great ideas to help you capture your audience through live video. Talk soon!